The border is courtesy of the 3am teacher. Thank you, you do have some lovely borders! Cover Page, you have to have one of these. Letter to the sub. I feel like it's just a courtesy to thank someone for taking care of your rascals. I cut this one in half as I didn't want my full name published. 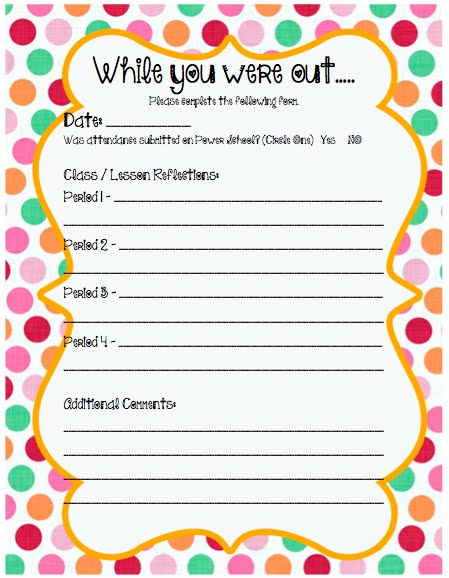 Cover Page for where the lesson plans/copies of assignments will be located. Basic Info. 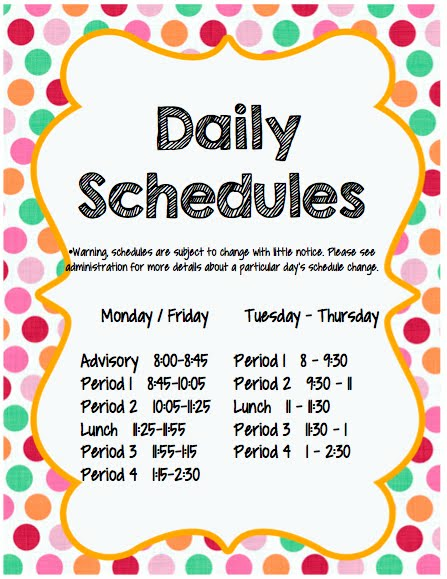 I'll probably just print off the class lists from PowerSchool. 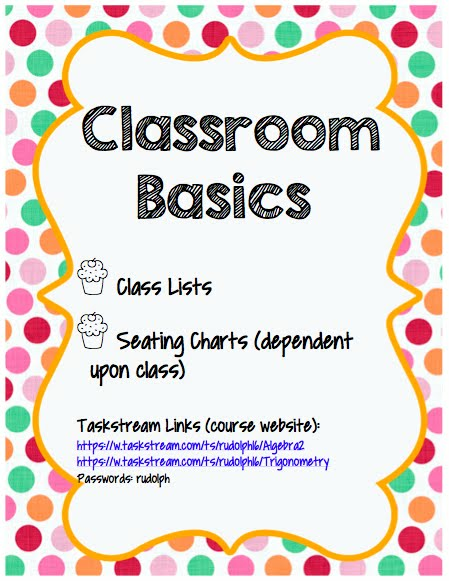 I also added the links to my class webpages. 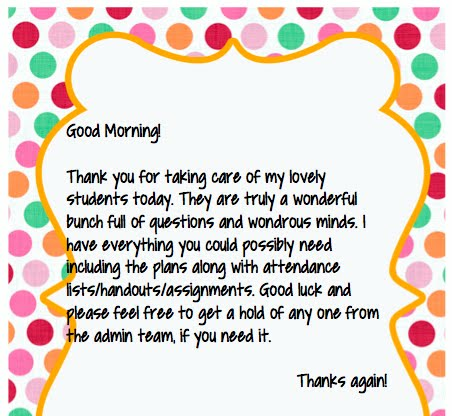 Sometimes, I have a really awesome sub who likes to know the material so they visit my website. Now this is key. There are obviously the times where things just happen and there are no plans. This is where Kuta Software rocks my socks. 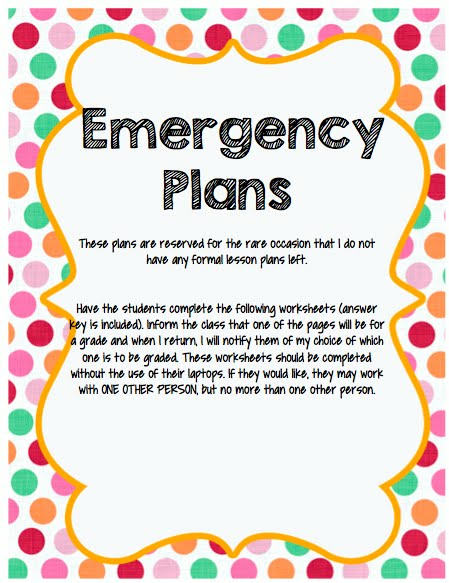 The Emergency Plans is essentially a worksheet day where the kids don't know which worksheet is for points (inspired by a pin from pinterest). I choose fractions/solving equations/simplifying radicals as these are all skills that I consider prerequisites for all my courses. Did I miss anything? 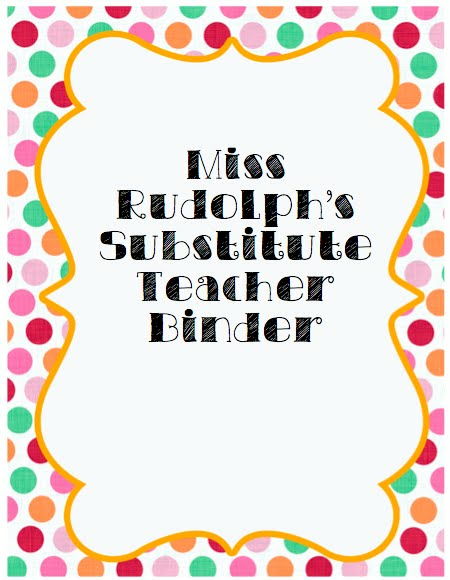 What all do you put in your sub binder? 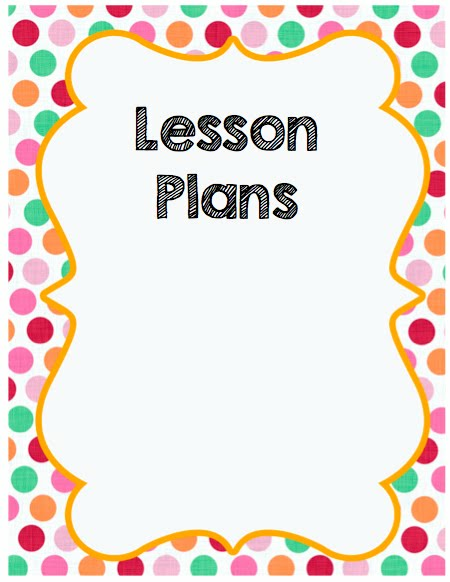 Classroom Supply Deals of the Weekend!